Missed Joyce Meyer's webcast from April 23rd, 2013? and packed with straight answers from Joyce. continue reading "Making Good Habits - Breaking Bad Habits - Webcast REPLAY"
continue reading "Girls With Swords Webcast Replay"
The Jesus Experiment: What Happens When You Follow in His Footsteps? If you loved The Purpose Driven Life and One Month to Live: Thirty Days to a No-Regrets Life , then you’ll love The Jesus Experiment. Popular author and speaker Bill Perkins challenges you to spend twelve weeks discovering what it really means to live like Jesus. More than a book, it’s an invitation for you to try becoming like him in your feelings, thoughts, words, and deeds. Each week, you’ll focus on a different aspect of Jesus’ life, including how he faced his fears, how he talked with God, and how he helped others. As you examine your own life in light of the Lord’s, you’ll be amazed at how your mind and heart will change to more closely reflect his. continue reading "FREE Kindle Edition ~ 'The Jesus Experiment'"
OR 1 verse that God has been engraving upon your heart recently. Thank you Thomas Nelson for sponsoring these monthly contests! SO GRATEFUL for your support and your generosity!! Thank you for investing in the lives of our faithful friends. 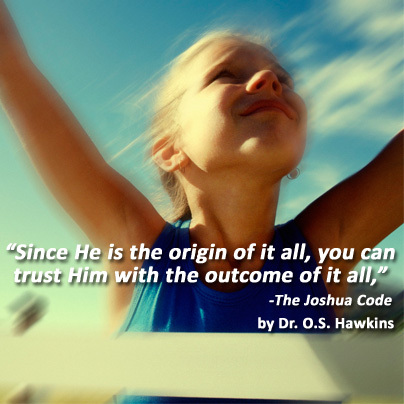 continue reading "Christian Contest: 5 Copies of The Joshua Code"
you can trust Him with the outcome of it all." continue reading "The Origin of It All"
Is the Lord leading you to grow your family through Christian Adoption? Did you know 3 out of 5 people are touched by adoption? Have you been praying about expanding your family through adoption? Called to Adoption is a clear, easy-to-read guide for Christians who want to step forward in faith and answer God's call to adopt. This is a valuable handbook as you take the steps needed to fulfill His desires for your life. before beginning any path to adoption. - How to select the right adoption professional. - Creative ideas to fund your adoption. - The proven formula for adoption success. - The shocking need for Christian Adoption. as you move through His plan. - How to quickly get started toward adoption. continue reading "FREE Kindle Edition ~ 'Called to Adoption'"
* Open to USA and CDN residents. continue reading "The Joshua Code: Why Scripture Memorization is So Important"
What idol do you need to tear down? continue reading "As For Me and My House"
for women to be armed, it’s now. continue reading "FREE Webcast ~ Girls With Swords with Lisa Bevere"
nor [c]give you up nor leave you without support. nor [e]let [you] down ([f]relax My hold on you)! 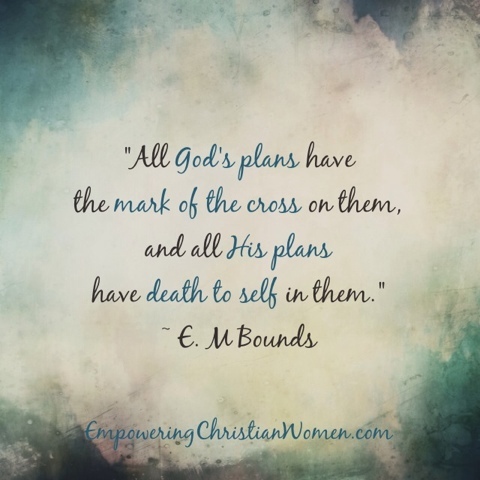 continue reading "FREE Webcast ~ Exponential 2013"
continue reading "Christian Movie ~ 'Home Run'"
Prayer is not easy for most people. Often it feels like prayer is pointless. Are my prayers bouncing off the ceiling? Am I doing it right? Does God even care? Expectant: Rediscovering the Power of the Lord's Prayer, explores the adventure of prayer by looking at the famous prayer Jesus taught his disciples, the Lord's Prayer. Together we will discover the power of prayer. It will answer questions such as: Why is it hard to pray? What is the God like that we address in prayer? Why even pray? 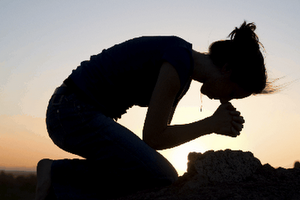 Is there a right and wrong way to pray? What do I pray for? The Lord's Prayer encompasses all aspects of human life and existence: the spiritual, physical, emotional, and even the psychological. Learning to pray this short prayer can change your life and the world. Expectant is part of a new series called Everyday Theology.The mission is to get biblical, gospel-centered, and applicable theology in the hands of everyday people for everyday living. continue reading "FREE Kindle Edition ~ 'Expectant: Rediscovering the Power of the Lord's Prayer'"
the well written article will provide much clarity for what you are experiencing. and a Calvary in each of our own lives. continue reading ""Others May, You Cannot."" The book of James has been called the “Proverbs of the New Testament”. I would venture to say that it is basically a “guidebook” for the Christian life. It is filled with valuable information that teaches us how to live and conduct ourselves in this world—and with others. It is my favorite book in the New Testament—so far. continue reading "FREE Kindle Edition ~ Proverbs of the New Testament"
In Restore Your Marriage and Fall in Love Again you will discover how to build a strong and successful marriage. Each chapter contains relationship building tools and empowering ways to apply them. In this highly effective and engaging approach, you will be encouraged to make positive differences in the way you relate to one another. You will work through marriage problems and discover successful solutions. With tools, applications, insights and inspiring reflections, you will embark on a lifelong journey to better communication, unconditional love and understanding, and genuine demonstrations of affection and heartfelt gratitude. Restore Your Marriage and Fall in Love Again can provide the marriage help you need to overcome marriage problems and to bring true hope, new life, and true love back into your marriage again! continue reading "FREE Kindle Edition ~ Restore Your Marriage and Fall in Love Again"
in accordance with His plan not mine." 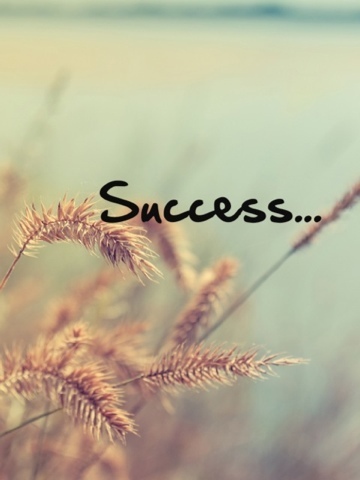 continue reading "SUCCESS: His Plan; Not Mine"
and all His plans have death to self in them." continue reading "The Mark of the Cross"
What's It Like to Be Married to Me? is about knowing the difference between having a desire for a better marriage and setting the goal of a better marriage—as readers look in the mirror to see how they can change. Bestselling author Linda Dillow understands that most women want more from their marriage but don't know how to get it. In What's It Like to Be Married to Me?, Dillow challenges readers to ask the riskiest questions: What is is like to be married to me? What is it like to make love with me? Why do I want to stay mad at you? Extremely intimate and honest, What's It Like to Be Married to Me? is not a book about marriage at all. It is a book about how to live out marriage, day-by-day and year-by-year, and watch who you become as a wife impact the intimacy in your marriage! continue reading "FREE Kindle Edition ~ 'What's It Like to Be Married to Me?' by Linda Dillow"
continue reading "Don't Try So Hard"
You’ve prayed for days, weeks, years . . . maybe even decades, but God sits in silence. In fact, you may even be certain, through His divine revelations, that your prayer isn’t going to be answered at all. You may be completely convinced that God has said “no,” and He isn’t willing to open up His heart to explain why, in order to keep your heart from breaking apart. You’ve had faith in the past. You believed Him up to this point, but right now, you’re out of faith. And in this moment, you’re not sure what to do next. You’re facing impossibilities, and though you call upon God for help . 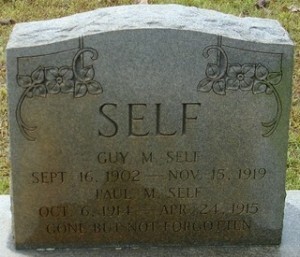 . . He’s nowhere to be found. Our greatest weakness in our prayer life is not that we fail to pray, but that when God fails to answer in the way we thought He should and in the time frame we expected, we either doubt His love for us or question that He even exists at all. We fail to understand that our prayers have no expiration date in heaven—here on earth, where time is valuable and pain and suffering doesn’t cease, that’s not an easy truth to embrace. We need our faith to take sight, we find ourselves failing miserably at walking by faith. When we’re out of faith, when God is silent, when prayers go unanswered, we must grasp this truth: Unanswered prayer is often God’s best answer. Can you believe that God HAS heard you, and in this VERY moment He is working out His answer—which may be no answer at all? Will you trust that He knows best, even when you’re tempted to believe that you do? Can you stop pleading and start praising . . . even through your pain? When you’re out of faith, you need not rely on your feelings, just take one more step, pray one more prayer, and then do it again and again. When you’re being faithful and God apparently isn’t, you may feel as though you’re setting yourself up for a complete failure in faith—but what you’re really doing is setting yourself up for a miracle. It may not be the one you’re praying for, but it will be evident that God heard you and that He answered your prayers in greater ways than you could have ever imagined. Your deadline doesn’t matter in God’s timeline . . . His delays are not His denials . . . God wants you seeking Him more than the answers to your prayers. God is full of sovereign surprises. You may feel like you’re out of faith, but you’re not. You can make the choice, at this very moment, to trust God regardless of what you’re feeling. God may not change your circumstances, but He’ll enable you to walk through them. That, in itself, is a miracle. Often times, when God is not displaying miracles through His power, He’s revealing greater miracles through His presence. We find ourselves out of faith because we’re asking God to extend His hand, when His greatest purpose in our trials is to expose His heart. This trial you face is not to test you beyond your ability to endure, it’s so that your faith will be proven strong and sure. You won’t be able to find that strength in, and of, yourself, you’ll have to rely on God’s Promises to you. You’re going to have to take Him at His Word. (c) Cherie Hill is the founder of ScriptureNow.com. 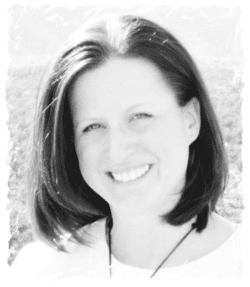 She has a BA in Psychology and is trained in Biblical Counseling through the AACC. She has been ranked #6 on the Amazon.com Bestselling authors for Religion and Spirituality on Amazon Author Rank. continue reading "Out of Faith"
SO excited to see this new devotional available from Nick Vujicic! to watch a portion of his story. LIFE~changing!! [a]and gain a surpassing victory through Him Who loved us. continue reading "New Devotional by Nick Vujicic ~ LIMITLESS"